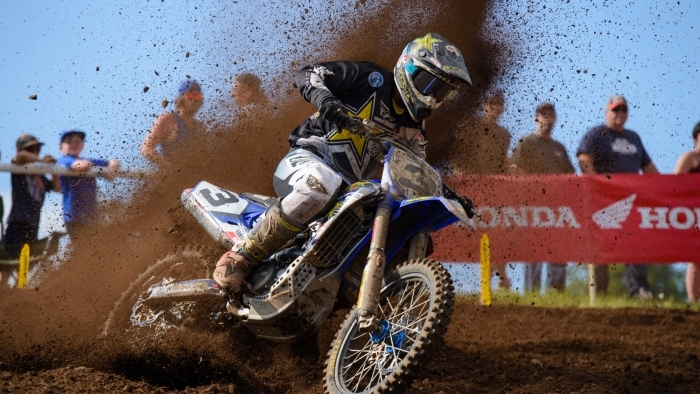 Riverglade MX Park in Moncton, New Brunswick hosted Round 8 of the Rockstar Energy Drink Motocross Nationals. A hardpack, rocky track—spiced with rich red Maritime soil—and breezy weather that saw the thermometer reach 27°C, set the stage for the National MX1 and MX2 title hunt. 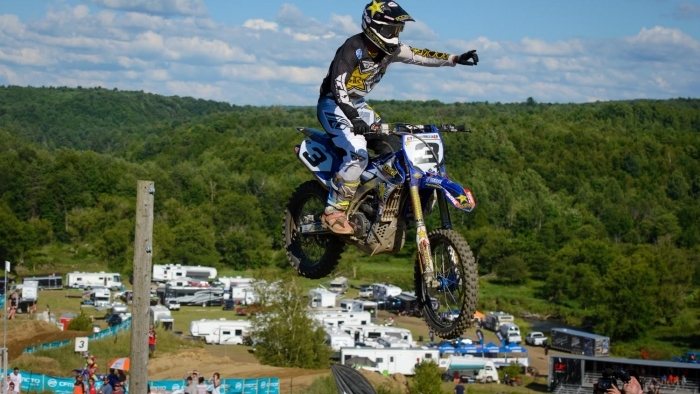 Once again a large spectator turnout was on hand to take in the action at Riverglade, which has hosted 25 Canadian Nationals in nearly four decades of motocross. 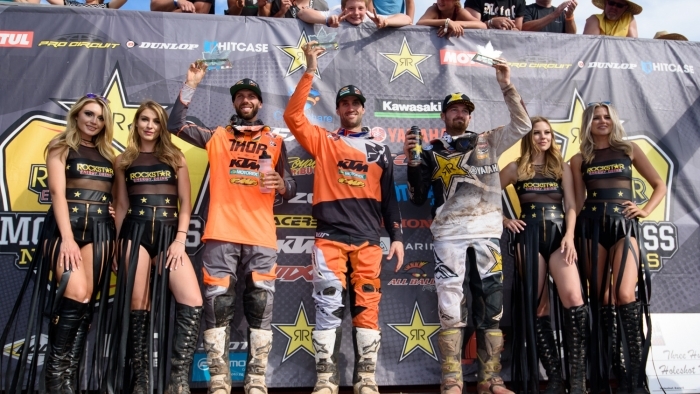 Round 7 of the Rockstar Energy Drink Motocross Nationals, which was held at Pleasant Valley Raceway in Truro, Nova Scotia, was like the previous rounds in Ontario and Quebec run in hot humid weather with the thermometer peaking at 28°C. Fortunately, although threatening clouds did roll in, the event was spared the rain and thunderstorms that were forecasted to hit the area early in the afternoon. 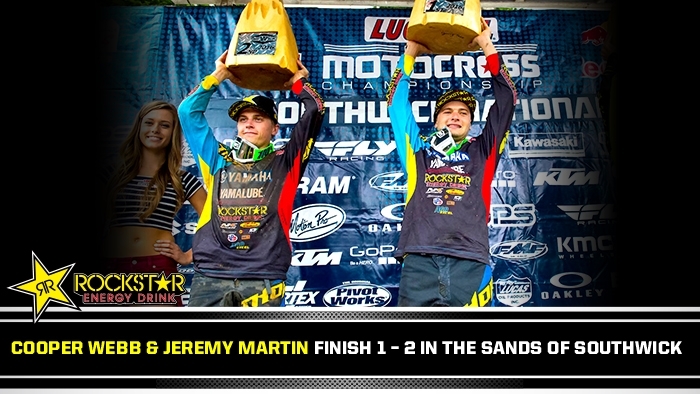 Rockstar Energy OTSFF Yamaha’s Matt Goerke and Brett Metcalfe claimed their second consecutive 1-2 overall finishes in the premier MX1 class this past Sunday at Round 6 of the Rockstar Energy Drink Motocross Nationals. 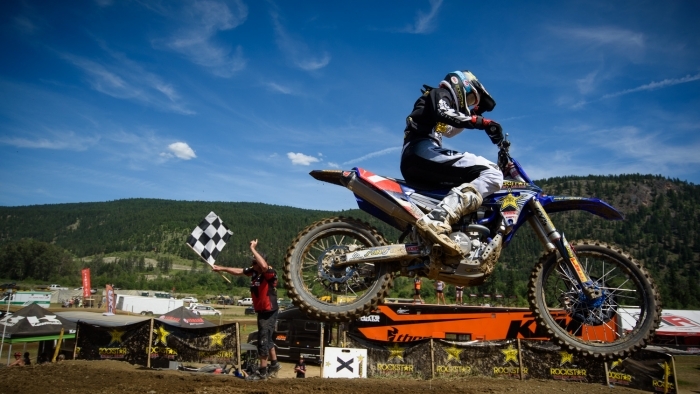 The event was staged on one of the most spectacular all-terrain tracks in Canada in Ulverton, QC, under partially sunny skies and temperatures that reached a humid high of 25°C. 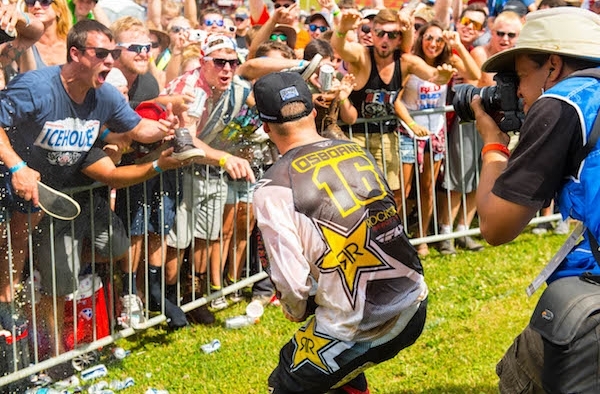 The eastern leg of the Rockstar Energy Drink Motocross Nationals kicked off in Courtland, ON this past Sunday at Gopher Dunes, which has the unenviable reputation of being Canada’s toughest and most physically demanding track. 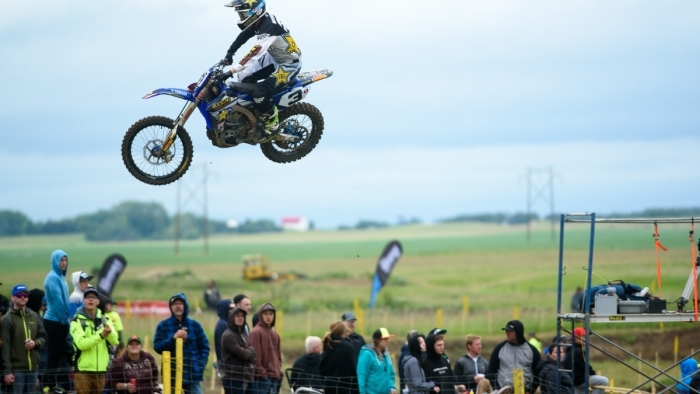 Team Rockstar Energy OTSFF Yamaha’s Matt Goerke and Brett Metcalfe continued their quest to build on their top-five MX1 points standings at Round 4 of the Rockstar Energy Drink Motocross Nationals in Regina, SK this past Sunday. 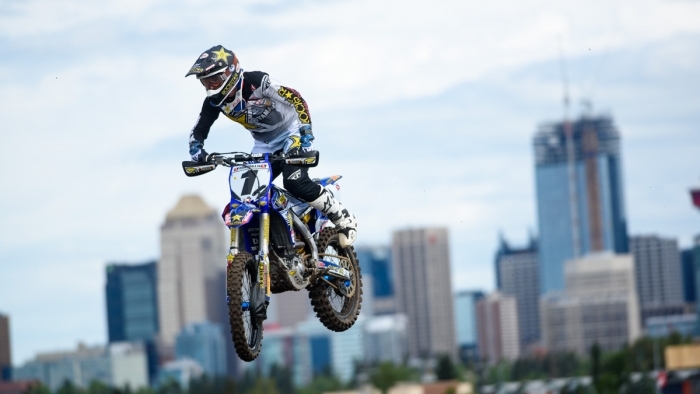 Round 3 of the Rockstar Energy Drink Motocross Nationals was staged at Wild Rose MX Park in Calgary, AB, just a stone’s throw from the bustling city centre. Like one week earlier in Nanaimo, BC the temperature was rider-friendly, reaching a high of only 21°C under partly cloudy skies. A brisk wind, with gusts of up to 37 km/h, was about the only weather factor the contenders had to deal with. 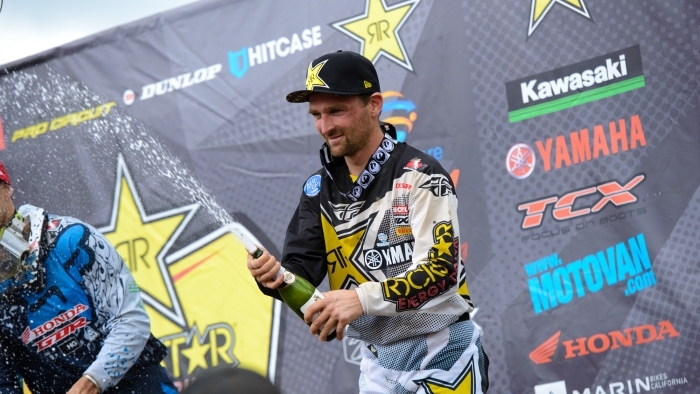 Round 2 of the Rockstar Energy Drink Motocross Nationals stayed in beautiful British Columbia this past weekend, with the action unfolding at Wastelands Moto Park in Nanaimo on Vancouver Island. With mostly overcast skies and a high of 19°C, weather conditions were much more rider-friendly in Nanaimo compared to one week earlier in Kamloops, where the thermometer hit 34°C under a blazing sun. 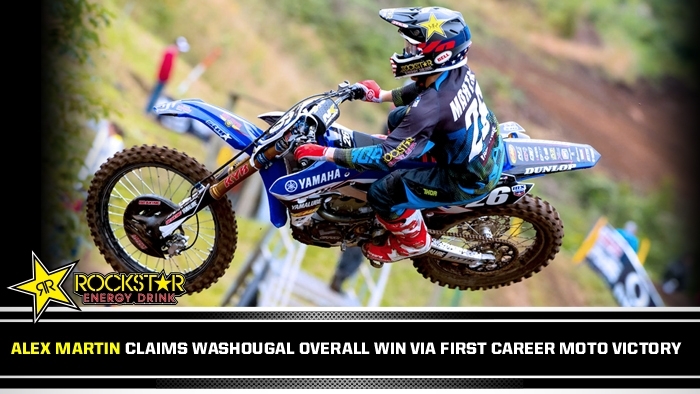 Team Rockstar Energy OTSFF Yamaha got off to an auspicious start at Round 1 of the MX1 Nationals with Matt Goerke and Brett Metcalfe this past Sunday at Whispering Pines Raceway in Kamloops, BC. 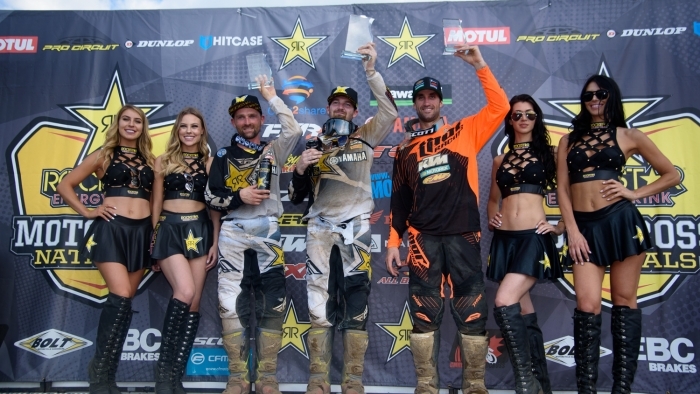 Goerke nailed down second overall on the strength of 1-3 motos while Metcalfe, making his debut with the team, grabbed fifth place finishes in both motos, providing him with a respectable sixth overall on the day.